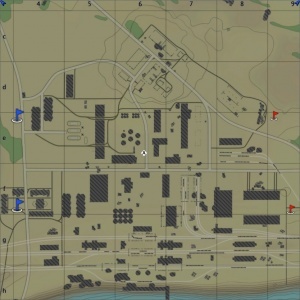 Abandoned Factory is a ground forces map available in all modes. As the name suggests the map is set around an abandoned Factory complex; in general it offers somewhat all-around combat, but mainly close quarters. Wooden train cars provide excellent ambushing points in AB, as they can be shot through. 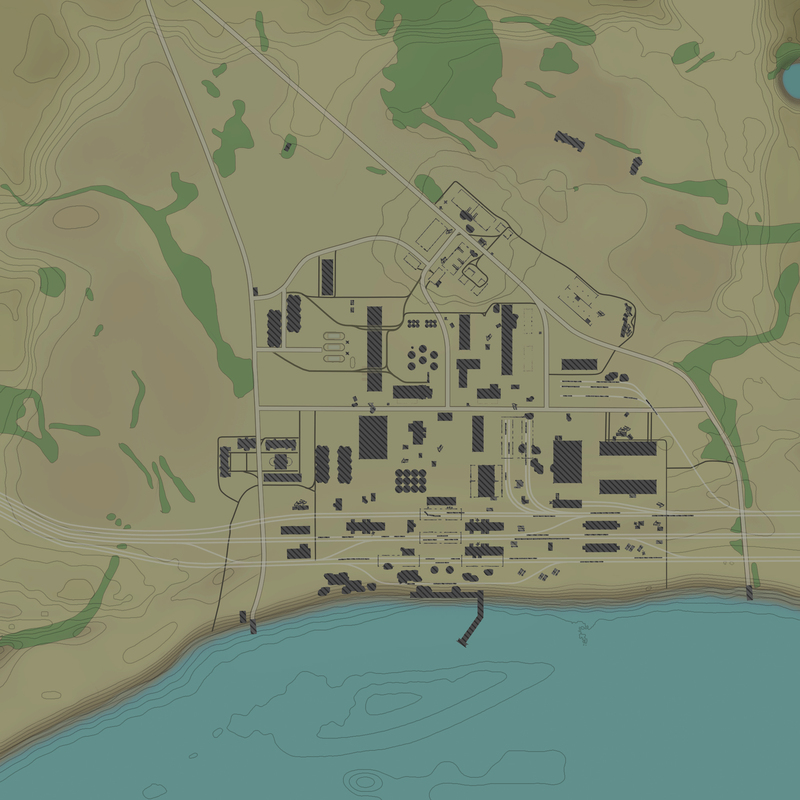 The south of the map depicts a rail yard, with train cars that can be shot through, and a number of small buildings / storage tanks. The middle area of the map is the main factory complex with a series of large buildings, storage tanks, and pipes to fight around. The north of the map is more open, taking place outside of the main complex; it consists of open areas, with a smaller complex consisting of a few small buildings, in the middle. The tank battles area is 2km x 2km, see the below table for the exact size in each game mode. The air battles area is 65km x 65km. Abandoned Factory was added in Update 1.65 "Way of the Samurai". This map is based off of Stalingrad. The capture points are located in the same place in all three game modes, however the map area is increased in Simulator Battles. In AB point A is in the rail yard in the south of the map, point B is in the centre of the map, and C is in the small complex in the north of the map. In RB point A is in the rail yard in the south of the map, point B is in the centre of the map, and C is in the small complex in the north of the map. In SB point A is in the rail yard in the south of the map, point B is in the centre of the map, and C is in the small complex in the north of the map. In AB the capture point is in the rail yard in the south of the map. In RB the capture point is in the rail yard in the south of the map. In SB the capture point is in the rail yard in the south of the map. In AB the capture point is in the centre of the map. 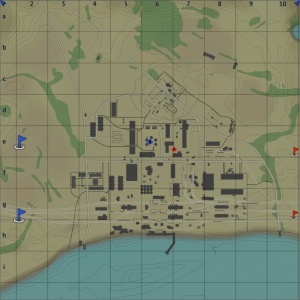 In RB the capture point is in the centre of the map. In SB the capture point is in the centre of the map. In AB the capture point is in the small complex in the north of the map. In RB the capture point is in the small complex in the north of the map. In RB the capture point is in the small complex in the north of the map. In the Battle configuration there are two capture points, each belonging to one of the teams. Both capture points are near each other, in the center of the map. In AB both capture points are near each other, in the center of the map. In RB both capture points are near each other, in the center of the map. In SB both capture points are near each other, in the center of the map. This page was last edited on 3 April 2019, at 04:31.